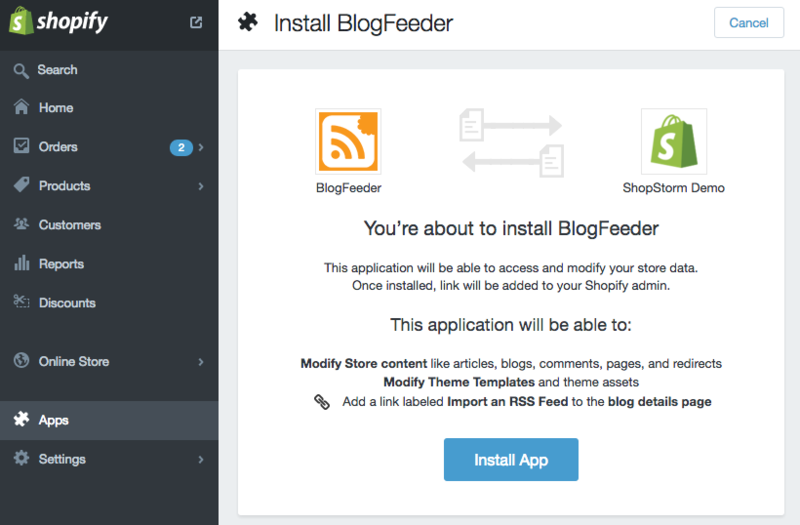 You can install BlogFeeder ® in just a few minutes! Install the app into your store via the Shopify App store. You will not be charged for anything or required to approve a charge until you choose a plan. Click "Install App". 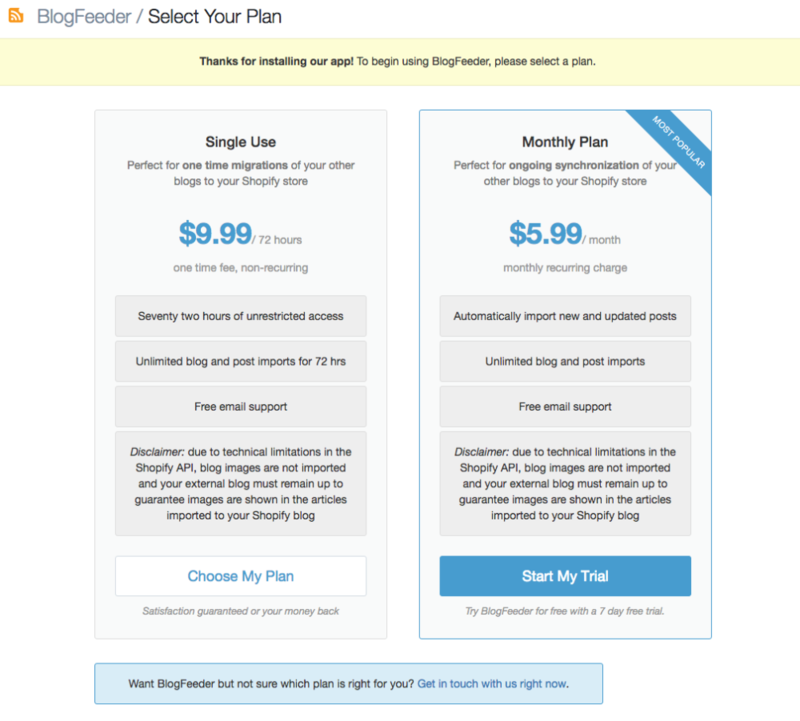 This will add BlogFeeder to your store and you can then select your plan. Go to Apps > BlogFeeder to select your plan. If you want to do a one-time import of your blog posts (you can import from as many blogs as you want!) select the "Single Use" plan. This will give you 72 hours of access to import all of your posts from the blogs of your choice, and we're happy to assist if you run into any questions or issues. If you want to automatically import your posts from other blogs on an ongoing basis, select the Monthly Plan. This will let you create feeds, and BlogFeeder will automatically keep your posts in sync with any external blog you've created a feed for. Once you've selected your plan, you can approve the charge for this plan, and the app will be ready to go! 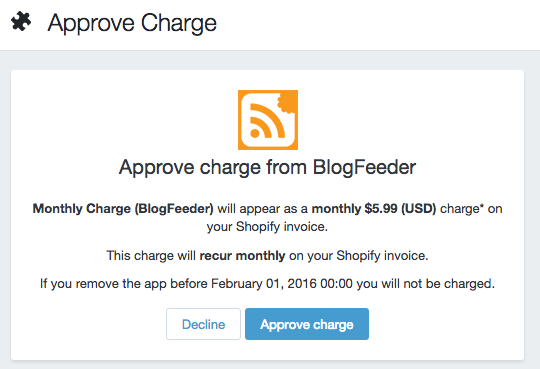 You're now ready to get some feeds set up and start using BlogFeeder.